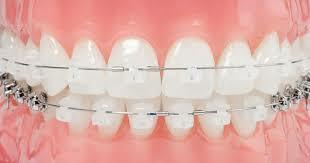 Normal /conventional braces use rubber bands/modules to hold the wire onto braces. 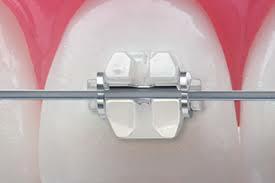 Self-ligating braces isadvancement in technology wherein instead of rubber bands it has uses a unique clip or movable cover to hold the wire in place. 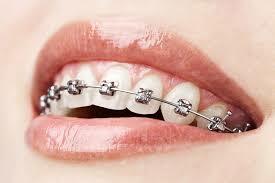 Choice of braces can be suggested by the orthodontist, based on your treatment needs and aesthetic preferences. Self-Ligating Braces has an advantage that it helps to keep your teeth can stay cleaner/ hygienic and also you spend less time for treatment. Self-ligating braces use a special clip instead of elastics which help the arch wire guide teeth into place. The clip helps reduce the amount of pressure being placed on the tooth, and decreases the number of adjustments/ appointments because there are no elastics to replace. Passive —Passiveself ligating brackets use a smaller arch-wire that creates minimal friction and allows teeth to move more freely. 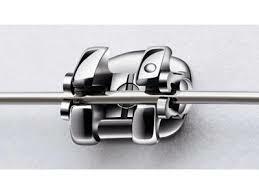 Self-ligating braces are a great option for patients needing braces but do not want display of rubbers. Dr Ashishchopracan help you decide that what type of braces will be most effective for your smile. Please call our office to schedule your orthodontic consultation. The SmartClip™ Self-Ligating Braces technology eliminates the need for rubber bands. Instead, an innovative clip system does the trick. That’s a big change for the better when it comes to your smile. Clarity™ SL Self-Ligating Braces provide all of the benefits of self-ligating braces with the added advantage of translucent ceramic. Clarity SL braces blend in with your teeth and provide a smooth, comfortable and extremely durable fit. Victory Series™ Active Self-Ligating braces eliminate the need for rubber bands. Instead of the clip system, these braces have a movable door that holds in the wire and allows it to slide easily, bringing out your beautiful smile. Open new doors to practice efficiency, clinical flexibility, patient comfort and aesthetics.